A juror in the James "Whitey" Bulger trial said Tuesday that testimony revealing deep-seated corruption in the FBI and government during the mobster's heyday left her disgusted with the judicial system. Janet Uhlar, speaking to CNN's Deborah Feyerick in her first interview since the federal jury on Monday convicted Bulger on 31 of 32 counts, called him an "old man" and said he may not have been a government informant. The jury found Bulger guilty of counts including extortion, money laundering, drug dealing and weapons possession. It held Bulger responsible for the murders of 11 people. Bulger, 83, faces a maximum sentence of up to life plus 30 years in prison. Five people were killed and a 6-year-old girl was taken to a hospital after a shooting in a tiny western Illinois village early Wednesday, officials said. A suspect in the slaughter in Manchester, Illinois, was killed following a chase and shootout with police hours later, authorities said. A week ago, the genocide trial of former Guatemalan dictator Efrain Rios Montt appeared headed to a historic conclusion. Today, it is at a standstill, the result of procedural missteps that have cast uncertainty over the process. The country's Constitutional Court on Tuesday began to answer some of the legal questions that are holding up the trial. But the biggest one - whether the trial proceedings will be annulled - remains to be clarified. Prosecutors said Monday they will seek the death penalty for Colorado movie theater shooting suspect James Holmes despite his offer last week to plead guilty in exchange for avoiding a death sentence. An apparent abduction involving a couple in New York City was a hoax, part of a surprise birthday party, New York police said Monday. The people involved came forward, police said. Since a police report was never filed, there will be no charges, police spokeswoman Sophia Tassy said. 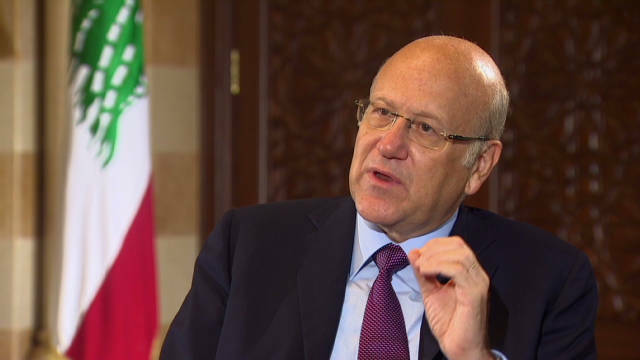 Lebanese Prime Minister Nijab Mikati resigned Friday after failing to quell disputes within his cabinet. Lebanese Prime Minister Najib Mikati announced the resignation of his government Friday amid what his spokesman said were disputes among his cabinet over preparations for parliamentary elections and the future of a top Lebanon security official. Mikati, who led a coalition government for the last two years, made the announcement live on Lebanese TV. The suspected cyber attack that appeared to target South Korean banks and broadcasters Wednesday originated from an IP address in China, South Korea's Communications Committee said in a statement Thursday. The attack damaged 32,000 computers and servers of media and financial companies, the committee said. South Korean officials are analyzing the cause and are working to prevent any further damage, the committee said. The attack infected banks' and broadcasters' computer networks with a malicious program that slowed or shut systems down, officials and the semiofficial Yonhap News Agency said. • Cpl. Aaron J. Ripperda, 26, Madison, Illinois. The cause of the Monday night blast was a 60 mm round that detonated inside a mortar tube, Brig. Gen. James W. Lukeman, commanding general of the 2nd Marine Division, told reporters. The Marines said in a statement Tuesday evening that all 60 mm mortar rounds and tubes used to fire them are being pulled pending an investigation. Filed under: Marines • Military • Nevada • U.S.
Richard James Beasley, 53, was convicted of being the mastermind of a plot to kill men lured by Craigslist ad. 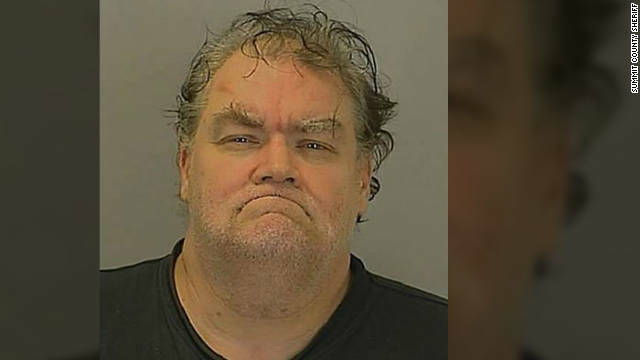 A jury on Wednesday unanimously recommended Richard James Beasley be sentenced to death for killing three men who had answered a Craigslist ad for work on an Ohio cattle farm. Summit County Judge Lynne Callahan set sentencing for Tuesday. Filed under: Crime • Death Penalty • Ohio • U.S. The U.S. Senate approved legislation on Wednesday aimed at funding the government through the end of September and avoiding a partial federal shutdown, while also softening the blow of sweeping forced spending cuts. The measure now goes to the House of Representatives. A French hostage held in Mali has been executed by al Qaeda in the Islamic Maghreb, Mauritania's ANI news agency reports. The agency attributed the information to an AQIM spokesman. Six other French hostages are still being held in Mali. French and allied forces, including Malian and Chadian troops, have made significant inroads in recent weeks combating Islamist extremist fighters. Islamist extremists carved out a large haven in northern Mali last year, taking advantage of a chaotic situation after a military coup by the separatist party MNLA. The militants banned music, smoking, drinking and watching sports on television. They also destroyed historic tombs and shrines. French involvement in the conflict began on January 11, the day after militants said they had seized the city of Konna, east of Diabaly in central Mali, and were poised to advance south toward Bamako, the capital. There is a "high probability" that Syria used chemical weapons during fighting with opposition forces, though a final verification is needed, U.S. Rep. Mike Rogers, chairman of the House Intelligence Committee, told CNN's Wolf Blitzer on Tuesday. "I have a high probability to believe that chemical weapons were used," Rogers, R-Michigan, told CNN. "We need that final verification, but given everything we know over the last year and a half, I would come to the conclusion that they are either positioned for use, and ready to do that, or in fact have been used." Rogers and Sen. Dianne Feinstein, D-California, chairwoman of the Senate Intelligence Committee, struck ominous tones in an interview on CNN's "Situation Room" about the possibility that Syria had crossed what President Barack Obama has said was a "red line" that could lead to the United States' getting involved militarily in the conflict. A lockdown imposed Tuesday afternoon at Indiana University-Purdue University Indianapolis has been lifted, according to the school's Twitter account. Students and staff at the university had been asked to take shelter earlier Tuesday afternoon while police investigated a report of an armed person on campus. Filed under: Crime • Indiana • Justice • U.S. The Statue of Liberty, damaged in October by Superstorm Sandy, is due to reopen in July, Interior Secretary Ken Salazar says. 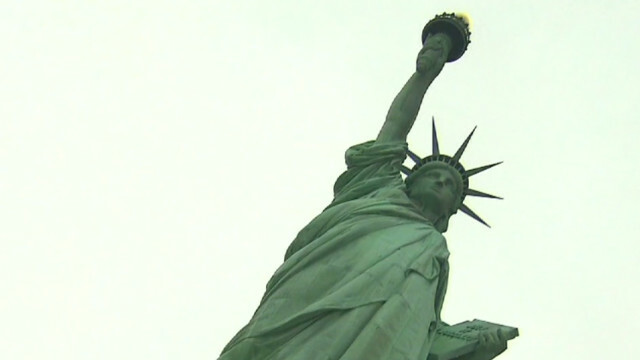 The Statue of Liberty will reopen to the public by the Fourth of July, Interior Secretary Ken Salazar announced Tuesday afternoon during a conference call with reporters. The World Heritage Site was damaged during Superstorm Sandy in October and has been closed to the public since. Carnival Cruise Lines announced Tuesday afternoon that an additional 10 cruises have been canceled for the Carnival Triumph while repairs are made to the fire-damaged ship. The main Syrian opposition umbrella group, meeting in Istanbul, Turkey, has chosen a U.S.-educated Kurdish businessman to head its provisional government, an opposition activist who attended the vote said Monday. Ghassan Hitto, an information technology executive who went to college in Indiana and lived for many years in Dallas, was elected Monday to lead a government whose specific role may be spelled out at a planned news conference Tuesday. Hitto was born in Damascus and is a member of the board of the Syrian American Council, the council said in a news release after the vote. After a series of problems that included a police officer using a racial slur, the new police chief in a Tennessee town is trying to clean up his department's image by requiring all applicants to take a polygraph test.